By opening up, by giving a glimpse into the heart behind those heart-stopping melodies, Newman’s written his best songs in nearly a decade. He has nimbly moved on to a deeper, more profound set of topics without losing his identity, and Shut Down the Streets successfully infuses what could fly as an intimate acoustic set with contagious pop hooks. It’s the rare adult album that isn’t a self-indulgent bore. As is the case with all of Newman’s work, there are plenty of surprises here, many of which reflect the surprises of the death and birth of loved ones. 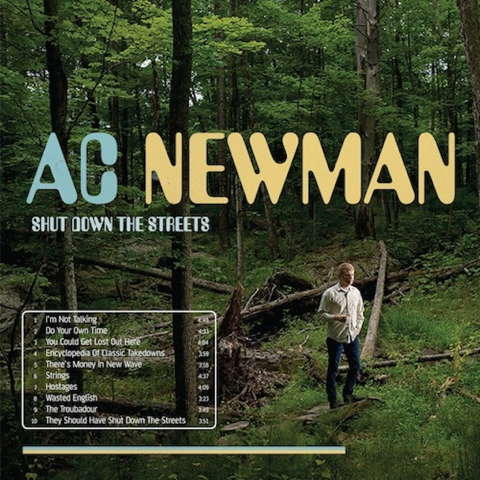 A would-be song cycle, Streets finds Newman opening up like never before, but it's ultimately stymied by a lack of nerve. Purchasing Shut Down the Streets from Amazon helps support Album of the Year. Or consider a donation?